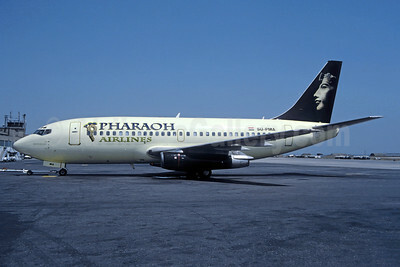 (Ala Frana Airline dba) (PHR) (Cairo) 1998 - 2002. Photos. Framable Color Prints and Posters. Digital Sharp Images. Aviation Gifts. Slide Shows. 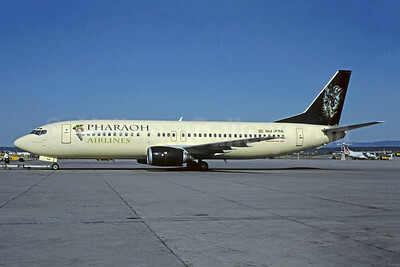 Pharaoh Airlines Boeing 737-4Q8 SU-PTA (msn 25740) ZRH (Christian Volpati Collection). Image: 946200. Pharaoh Airlines Boeing 737-222 SU-PMA (msn 19064) (Christian Volpati Collection). Image: 946199.